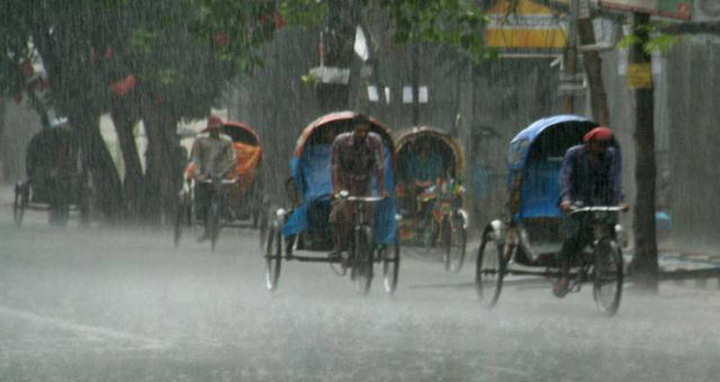 Dhaka, 6 May, Abnews: Light to moderate rain or thundershowers accompanied by temporary gusty wind and lightning flashes is likely to occur in the country in 24 hours as of 9:00am Monday, said a met office bulletin. The bulletin also said moderately heavy to heavy rain and hailstones may fall at isolated places of the country, reports UNB. Weather may remain mainly dry with temporary partly cloudy sky elsewhere over the country. Seasonal low lies over South Bay while trough of low lies over West Bengal and adjoining area, the bulletin added. All fishing boats and trawlers over deep sea have been advised not to venture into the deep sea, and stay close to the coast and proceed with caution till further notice.